You've come to the right place to see all that ATD-LA has to offer. Our monthly chapter meetings are typically held on the 3rd Thursday of the month with a few exceptions like November & December. Important note: This event is now full! Please signup for the waitlist and we will contact you if a seat opens up! When you think about social media, what big players come to mind – Facebook, LinkedIn, Twitter, and Instagram? A recent survey by Pew Research Group revealed that the single most widely-used social platform in the United States is not Facebook, LinkedIn, Twitter, or Instagram. It is YouTube. People flocking to YouTube are not just people under the age of 30. YouTube’s users are people from every age demographic on the planet. YouTube referrals generate more average sales revenue per visit than Twitter. YouTube’s conversion rates rank third among all social media platforms. The fact that YouTube is not top of mind for most professionals and businesses means that it represents a powerful digital marketing opportunity for those who embrace this ubiquitous digital platform. Learn how to take advantage of this disconnect and use this medium as a premier talent development tool. Please bring your laptop or mobile device. This is a hands-on session. Identify why developing a YouTube and video strategy is imperative for internal and external clients. Develop skills to exponentially increase the number of subscribers to a YouTube channel. Identify how to competitively position your organization and its value proposition on YouTube. Develop skills to use YouTube to acquire new talent development clients. Identify how to deliver training content in an engaging and compelling manner. Evaluate how ranking on YouTube is different from ranking on Google and why you should care. Comprehend how Search Engine Optimization rules have dramatically changed in 2019 and how to use them to your advantage. Nelinia Varenas MS, MBA is CEO of Breakthrough SEO Marketing, a differentiating online marketing firm. 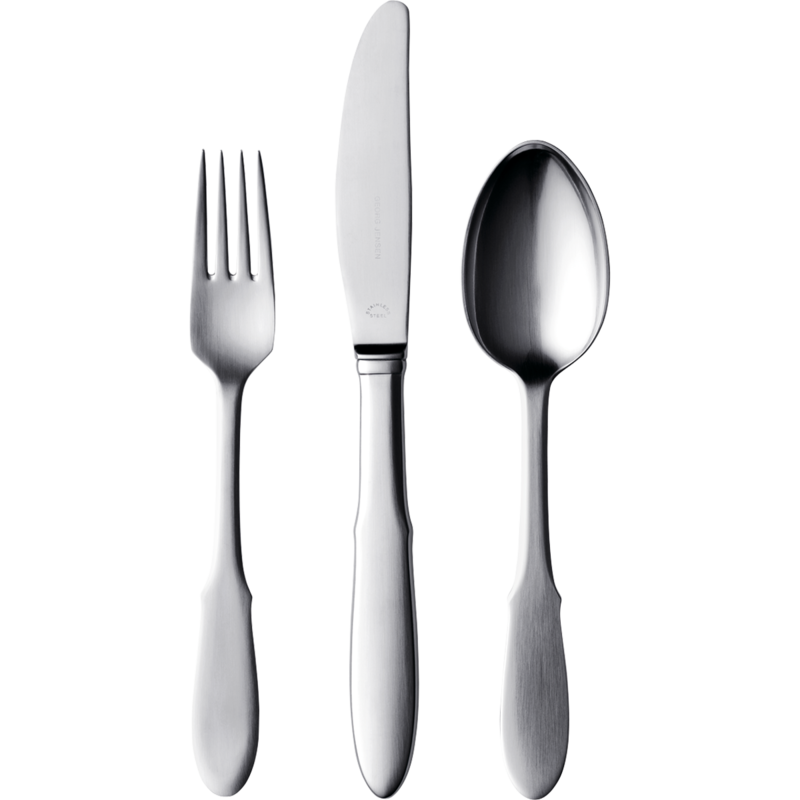 The company caters to businesses, professional practitioners, and non-profit organizations. The digital marketing company offers Website Design, SEO/SEM, Inbound, Blog, Email, Social Media, PPC (Paid Ads), Remarketing, and Reputation Marketing Services to impose leadership and convey value to grow for-profit and non-profit entities. Nelinia draws on experience with Fortune 500 companies, small businesses, charitable organizations, and startups, alike, to provide clients with been-there insights and perspectives that quickly align interests and accelerate project implementation. Nelinia is involved in community service and business advancement organizations including the Rotary Club of Long Beach and Chamber of Commerce of Greater Long Beach. Coming straight from the office with no time to eat? Don't worry, boxed sandwich dinners will be available for all attendees! Let us know your preference when registering. ATD-LA is recognized by SHRM to offer SHRM-CP or SHRMSCP professional development credits (PDCs). This program is valid for 1.5 PDCs. For more information about certification or recertification, please visit shrmcertification.org. Gate 4, USC Royal Structure, 672-698 W Jefferson Blvd South Los Angeles. Please allow 5-10 minutes to walk to the meeting room. Please tell the gate attendant you are attending an event at USC. USC is Metrolink friendly and it is also a 5 to 10 minute walk to the meeting room. Pre-Registration Suggested: Cutoff to register with dinner is Monday, April 22. Please click here for cancellation and refund policies. Sheryl Sandberg has called it one of the most important documents ever to come out of Silicon Valley. It's been viewed more than 5 million times on the web. It includes innovative and "crazy" ideas, such as the concept that workers should be allowed to take whatever vacation time they feel is appropriate. What is it? It's a deck titled "Netflix Culture: Freedom and Responsibility". But no deck alone ever changed a company. Join your fellow colleagues as we explore and reflect upon Netflix's approach to Human Resource Management and it's impact on the modern workplace. Our discussion will be inspired by an article from Harvard Business Review. American Honda graciously provides coffee for the RoundTable sessions. The on-site Starbucks conveniently opens at 7AM for your breakfast needs! The RoundTable is an exciting approach that stimulates incredible conversation and insight around the topics and trends impacting our discipline. We will read the selected piece aloud together for about 15 minutes. Then for the next 45 minutes, we offer everyone in attendance equal time to share their thoughts and experiences on or around the topic. Come explore with us! 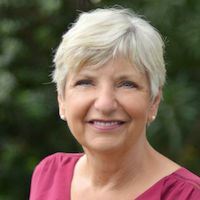 The GEMS RoundTable format is provided by Sue Gabriele, President and Owner, Gabriele Educational Materials and Systems. Clicking the "Register" button to the left of this post. The session will be facilitated by Lynnette Ward and the South Bay Special Division Team. 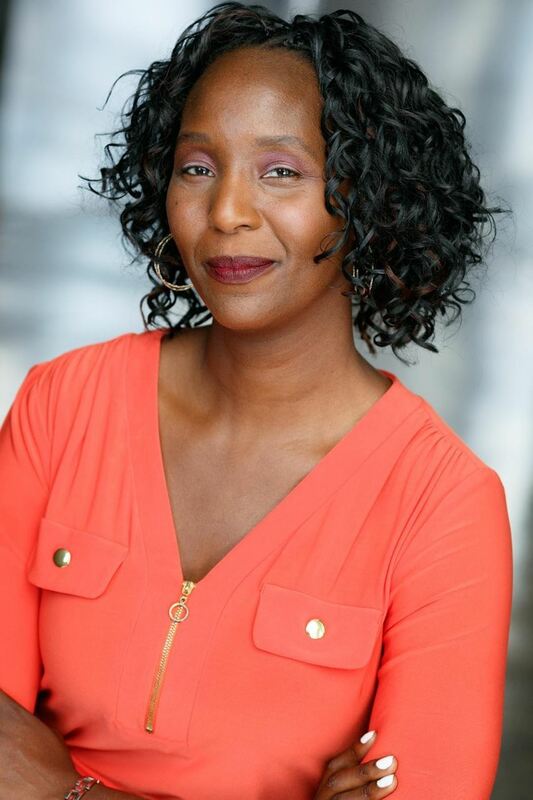 Lynnette Ward is a Career Development Consultant, specializing in management and career development, who believes in the power to choose our work. She has a unique ability to motivate and influence others to take action and adapt to change as she trains and coaches people across all functions and industries to build lifelong career management strategies. 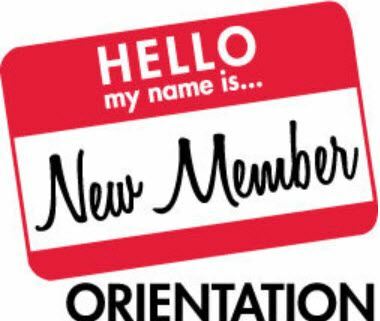 a new volunteer or an existing volunteer who hasn't attended a new member orientation in a long time? This meeting will help you understand how the chapter is structured and provide an overview of its many programs. Make your professional investment count. Whether you are new to the talent management field or a seasoned professional, the chapter provides many opportunities for learning and career growth. 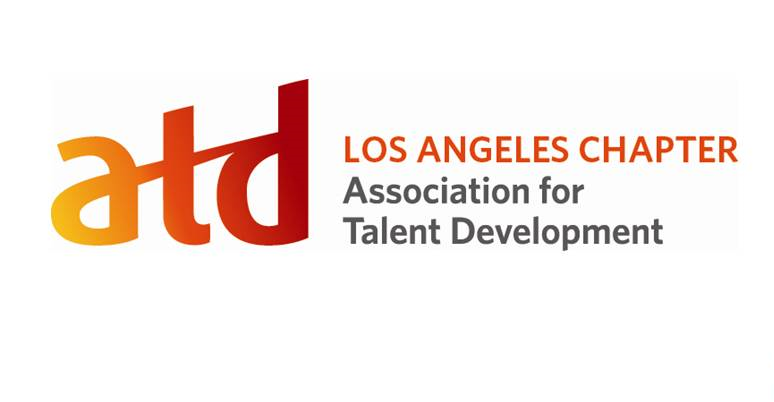 Come join ATD-Los Angeles and be part of a localized network of colleagues and peers. Join this orientation to learn more about the chapter features and benefits. Who is invited: All active ATD-LA members. Technical and subject-matter experts (SMEs) are asked often to lead training because of their content expertise and years of experience doing the work. In many organizations, the SME’s job role includes training and one-on-one instruction on a regular basis. This means that more and more SMEs are called upon to lead the learning process within their organization. This short workshop will provide tips for delivering training that engages the learner in multiple ways. Easily implementable techniques will be discussed for setting up the environment, engaging learners, and facilitating learning to ensure a positive training experience, even for the most reluctant participants. WHO SHOULD ATTEND: Any technical or subject matter expert that would like to learn more about the training facilitation process and gain easy tips for improving how to engage adults; any trainer that would like more information on delivering or facilitating training. Camilla Heinzmann is a dynamic professional with more than 20 years experience in guiding, training, coaching, mentoring and leading individuals and teams on four continents. She is an accomplished adult learning expert in creating and implementing impactful learning programs for employees at all stages of their careers and at all levels of an international organization. She is well recognized for facilitating high-energy meetings and training workshops that inspire and engage audiences and deliver expected behavioral outcomes. She is a sought-after business partner with a strong reputation as an effective trainer, leader and coach, with a passion to support people in their quest of reaching their full potential. Since establishing Heinzmann Coaching & Consulting, Inc. in 2014, Ms. Heinzmann has designed and delivered corporate training courses for both national and international audiences. Ms. Heinzmann is a member of the Association for Talent Development and the International Coach Federation. Our hosts at CCRC will graciously provide coffee, pastries, and fruit. Please come early to grab a plate. Parking is free across the street in the US Citizen & Immigration Parking Lot on Floors 2 and above. May Chapter Meeting: Inclusion: Science or Emotion? Employees want to feel accepted in their workplace and feel as though they are a part of their organization. Creating a sense of belonging impacts employee engagement and retention. Organizations can have a better understanding of how to measure the overall employee experience by building an inclusive culture. Stacey A. Gordon, MBA, Founder and CEO of Rework Work is an innovative human capital strategist whose mission is to reduce bias in global talent acquisition and management. Stacey offers diversity, inclusion and career related online courses which have been viewed more than 1 million times on digital platforms. She was recognized by Pepperdine University as a Top 40 Over 40 Leader, was a finalist for the Los Angeles Business Journal’s Women Helping Women Award, and was recognized by Forbes as a Top 3 Business Leader Who Spoke Out About Diversity & Inclusion. In her capacity as a highly-rated coach, she is a member of Forbes Coaching Council and has coached diversity and inclusion practitioners at The Forum on Workplace Inclusion. Her company can be found at reworkwork.com. Coming straight from the office with no time to eat? Don't worry - sandwiches and wraps will be available for all attendees! 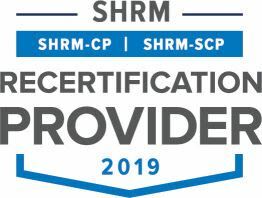 ATD-LA is recognized by SHRM to offer SHRM-CP or SHRMSCP professional development credits (PDCs). This program is valid for 2 PDCs. For more information about certification or recertification, please visit shrmcertification.org. Parking: The entrance to the parking structure is from Uplander or from Slauson. Enter the parking structure for 400 Corporate Pointe and please park on Levels 6 or 7 only. The entrance to the campus is from the 4th floor of the parking garage, across the courtyard and through the glass doors. Please bring your parking ticket with you to Campus Services to purchase an all-day discounted parking pass for $7 (cash or check, no credit cards please). Campus Services is located on the 1st floor of the campus. When you enter the building, make a right before the elevators and follow the hallway down and around to the left. You will see our large Campus Services office suite to your right. Metered street parking is also available, as well as free street parking on Hannum Ave between Bristol Pkwy and Uplander Way. It is a 5 minute walk. 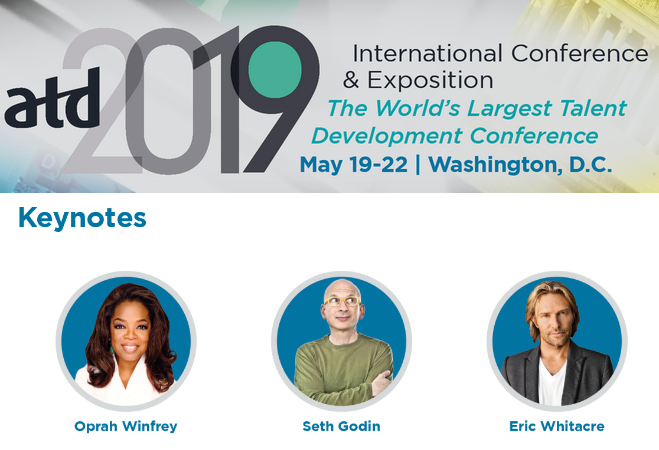 The most comprehensive conference for learning and development professionals providing the most choices for your professional development. More world-renowned experts than at any other learning conference eager to share their knowledge and experience. Convenient access to the latest books and their authors at the ATD 2019 Bookstore. The largest variety of solutions providers at the EXPO featuring more than 400 exhibitors. Unparalleled networking with other learning professionals from leading companies around the world including Amazon, Exxon Mobil, Apple, LEGO, Lockheed Martin and more. It's nice see and know a familiar face in a big place. We have 5 people from the LA chapter attending, so that means, if you are going, you are eligible for the team discounted rate. You don't need to travel or attend sessions together as a group, that's on your own. This option allows you an opportunity to meet and network with others from Los Angeles while getting a lower rate to enjoy the conference. Remember to use the ChIP code CH8028 when registering. Design meaningful, memorable, and motivational e-learning programs. Learn to design individualized, asynchronous e-learning courses using the ATD E-Learning Design Model for effective e-learning. Explore fundamental instructional design tenets from the perspective of creating e-learning. Practice applying these discoveries in designs and learn to incorporate what works into your own projects. This program provides an opportunity to explore and implement the ATD E-Learning Design Model. You will see examples and have the opportunity to practice the skills needed to develop asynchronous e-learning experiences that motivate learners to examine and adjust their behavior. The course includes opportunities to practice designing effective e-learning, investigating and applying instructional methodologies that support learning, and incorporating best practices into your own projects. Gain practical experience applying the ATD E-Learning Design Model. Apply instructional design principles to e-learning design in a purposeful way. Explore ways to present, structure, and sequence content that is learner-centric. Learn a variety of techniques for enhancing learning motivation and commitment. Develop an evidence-based instructional design strategy that encourages changes in behavior and performance. Design e-learning experiences using the ATD E-Learning Design Model. Create design planning and design tools that effectively describe the course structure to stakeholders and the course design to developers. Create an e-learning interface design influenced by learner experience design principles. Engage in accuracy and technical quality review. Accommodate imposed limitations and restrictions. Why are women clearly under-represented in management? One author believes that not only are the popular explanations insufficient, but that we've simply been asking the wrong questions. Interested in exploring this controversial topic? Join your fellow colleagues as we explore, reflect, and potentially (gasp!) learn through disagreements and sharing divergent perspectives. Our discussion will be inspired by an article from Harvard Business Review. Come ready to engage in conversation with your colleagues. Group yourselves informally based on your interest in a particular topic (topics compiled by Annie Liao, Former Director Educational Outreach, MakerGear 3D Printers). There will be plenty of time before and after the group discussions to mingle, meet new colleagues and share news at this mid-year milestone. Bring a deck of business cards! Leveraging Learning as an Incentive for Employee Retention: With employee turnover rates climbing, L&D leaders can play a strategic role in increasing retention. Discuss how to demonstrate the cost of attrition to an employer to get their buy-in, as well as explore ways to position learning opportunities as an employee benefit through messaging and value propositions. Overcoming the Challenge of Limited Time: So many training needs, so little allocated time! Discuss ways to increase learning opportunities through various micro learning opportunities and on-demand options. Evaluating eLearning Trends: A discussion about emerging trends, and what's working and what's not worth the attention in the eLearning space. Use the opportunity to share rubrics individuals use to determine whether or not emerging technologies or trends are worth incorporating into your development plans. None of the Topics of Interest to You? Start your own small group conversation! Improve the quality of your learning programs through clear, engaging writing. Master the art of writing clear, engaging, and credible content for your instructional design, e-learning, and training projects. Like most instructional designers and developers, you probably spend about 80 percent of your working hours writing; so it’s important that your writing is persuasive to gain buy-in from stakeholders, crystal clear to ensure understanding, and engaging to aid learning transfer. This writing style is an art,and having these skills can give you a competitive advantage as your career grows. Discover how to use rhetorical writing techniques to articulate desired training outcomes when you earn this instructional design writing certificate. Learn through hands-on practice how to write to clarify, simplify, illuminate, and explain. Find out how to use tone, point of view, and personality to keep your audience actively engaged. Develop effective writing techniques so you produce content faster and improve your learning programs. Learn to tailor your writing to the appropriate modality, format, and audience. Master editing to clarify your message and reduce cognitive load. Apply persuasive writing techniques when creating needs assessment reports and design documents that effectively articulate your training solution. Prepare well-written workbooks, manuals, job aids, slide decks, and e-learning courses that reduce cognitive load, positively influence learning transference, and serve as on-the-job resources. Edit your writing to be clearer and more concise. Effectively organize your reports, materials, and curriculums. Write precise instructions for individual and group activities so they engage your participants. Create training materials with easy-to-understand visuals that effectively support the written message and lead to greater learning retention. This program is ideal for professionals who are responsible for developing learning programs and want to improve their writing and content organization skills. This unique assessment-based program has expert facilitators working closely with you to help you master all aspects of training delivery. With this program, you’ll identify areas where you excel, and where you have opportunities for growth. You’ll benefit from collaborative and concrete training, and then be invited to assess your skills and knowledge. Be properly prepared as the role of the trainer evolves and more is demanded of your talent and time. The ATD Master Trainer Program is a unique assessment-based offering that covers the entire process of delivering training, including assessment, preparation, creating a positive learning environment, facilitating learning, and evaluating learning. Grounded in theory and focused on practice and application, this program will develop your professional capacity in this area of expertise. Are you prepared for the APTD exam? Ensure success with these study tools. Gain credibility and recognition from your colleagues by becoming an Associate Professional in Talent Development (APTD). Accelerate your knowledge of the areas of expertise tested on the Associate Professional in Talent Development certification exam. These comprehensive, instructor-led courses provide in-depth coverage of the content in the three main areas of expertise (AOEs) covered on the APTD certification exam: instructional design, training delivery, and learning technologies. Included is material from the evaluating learning impact and building a global mindset AOEs touched on in the exam. You will receive free access to the ATD Learning System: APTD Edition, as well as an APTD Learner Community for ongoing peer support. Master content related to the AOEs tested on the APTD certification exam. Use certification study tips and strategies to provide additional focus and support during your preparation process. Access the APTD Learning System to review the concepts and methods related to key knowledge tested on the APTD certification exam. Identify the APTD certification timeline and requirements for completion. Define the core concepts for each AOE in the APTD Learning System. Create a personalized study plan by identifying knowledge gaps based on content presented for each AOE. Apply test-taking strategies for the program exam. Talent professionals in the early part of their career or whose professional roles focus on a few areas of expertise (AOEs) as defined by the ATD Competency Model. Three years of relevant work experience in the talent development profession. Have decided that certification aligns with your career goals. Have achieved an ATD Masters Program designation, and would like to focus on gaining more in depth knowledge of other AOEs. Details to come. Save the date! Become certified to administer the EQ-i 2.0 and EQ 360 (MHS) assessments in a highly interactive and engaging online training format with an EI master trainer and private group of talent development practitioners. A "one-time" certification. There is not an annual renewal. There are no substitutions for enrolled participants. The online training will be hosted using ZOOM Conferencing system and instructions to log into the sessions will be emailed by Ed Hennessy (Master Trainer) to you 15 minutes prior to your private Feedback Session and prior to the online 2-day class. A PC or Mac is required by all participants throughout training. We recommend a screen of 12” or larger during training. Participants are responsible for any long distance phone charges incurred if dialing by phone into the training. Participants must use their own computers (not shared computer during training). A headset or ear buds with microphone connected to your computer is required. Due to government firewall and software download restrictions, participants who work for the government should expect to attend the online training from their home and not through a government server. Reading of THE EQ EDGE book. Virtual Classroom eLearning modules. Your online virtual classroom will be available approximately 4 weeks out from your workshop date. Certification requires the completion of an online exam taken after the workshop through MHS (Multi-Health Systems) with a score of 70% or higher. Each participant should complete their exam within two weeks of the last day of the certification training workshop. Those who do not pass the exam will be provided complimentary additional training and their exam will be reset. All participants must complete the online assessment at least 2 weeks (10 business days) prior to the workshop. Private two (2) hour online feedback sessions will be arranged for each participant and a consent form must be signed by each participant prior to the feedback session to allow Trainer to review and discuss personal EQ-i 2.0 Workplace Reports. If, for any reason, participants must cancel their training, the participant must provide written notification at least thirty (30) days or more prior to their scheduled training workshop. At that time, all fees will be transferred to your rescheduled date. No refund will be given for cancellations received less than thirty (30) days prior to training. If you request to reschedule within the 4 weeks, your name will be placed on a wait list for a future workshop. If cancellation is requested and the 2 Hour Online EQ-i Feedback Session & Training has taken place, and additional $500 trainer time fee will be added to the total administrative/processing fees. Participants cannot be swapped out or exchanged once registered. Participants must attend two consecutive dates of online certification training (no absences are allowed). If cancellation is requested thirty (30) days or more out from their workshop, the participant has the option to select another online training class. If the participant who cancels thirty (30) days or more from the online training class, and does not reschedule to a confirmed online training class within two weeks of cancellation, then some nonrefundable fees may apply: If the participant has received or completed their: 2 Hour Online EQ-i Feedback Session & Training, a $635 fee will be retained. If the participant has been shipped their Training Materials: 2” Binder with Sample Reports and additional flyers/materials, Spiral Bound Participant Guide, The EQ EDGE book, an additional $640 fee will be retained unless the training materials are returned within a two week period of the cancellation. Wednesday morning is the best time to post content on LinkedIn? 70% of employers use social networking sites to research candidates? 82% of people are more likely to trust a company whose leadership team engages with social media? Successful talent development professionals can boost their careers, profession and organizations by tapping into social media to share valuable information with stakeholders. They build strong relationships with internal and external clients. Post content that highlights you, your colleagues, and your organization. Caroline Leach helps people and organizations tell their stories. As a Fortune 100 Vice President of Corporate Communications and Marketing for a dozen years at DIRECTV and AT&T, she founded The Carrelle Company to provide digital branding for people to grow their careers through social media. Caroline is the author of What Successful People Do in Social Media: A Short Guide to Boosting Your Career. She gave a TEDx talk about how social media can make you a lifelong learner and teaches at the Social Media B.A. program at the Fashion Institute of Design & Merchandising. 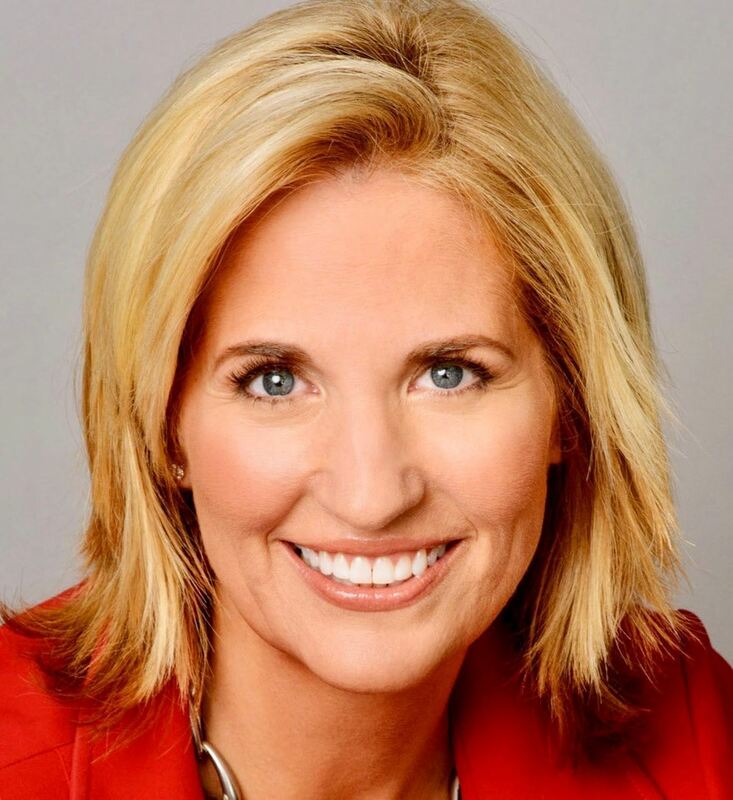 Previously at AT&T, a $160-billion tech, media and telecom company, she led a marketing analytics team that provided insights on advertising effectiveness, brand health, and corporate communications. To develop future-ready marketing leaders, she spearheaded the creation of the first Marketing Leadership Development Program in partnership with HR and the award-winning AT&T University. Caroline has an M.A. in Communications Management from the USC Annenberg School for Communication and Journalism and a B.A. in economics from UCLA. Pre-Registration Suggested: Cutoff to register with dinner is Monday, August 12. Registration will open soon and we are limited to only 30 seats! By 2020, nearly half (46 percent) of all U.S. workers will be Millennials (Lynch, 2008). As a talent development professional, what are you doing to engage these learners? Still doing the same lecture and expecting learner’s engagement? Try jazzing up your training by incorporating virtual reality (VR). VR offers an immersive environment that enables all generations of learners to improve skills and change behaviors through realistic practice. 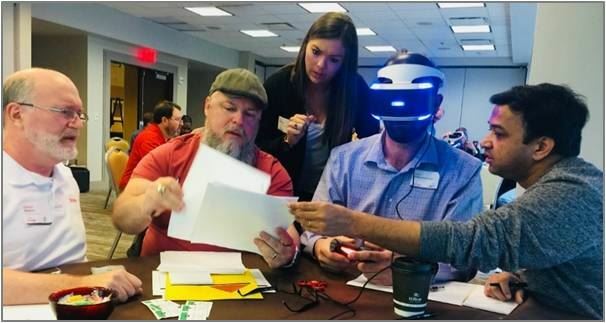 Boingo Wireless has used VR in its teambuilding training to build cross functional communication and stronger relationships. And, VR technologies have become more mainstream. Learning professionals should consider how they can use it in their own organizations. Join us at the Boingo headquarters as Anthony Lewis, Director of Learning & Development facilitates this exciting event. 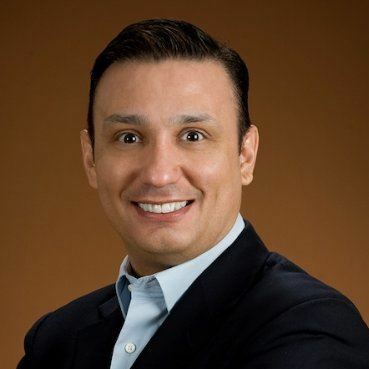 Anthony has over 30 years in the talent development industry, a master’s degree in leadership, and many industry certifications such as emotional intelligence, DISC, Situational Leadership, coaching, train-the-trainer, instructional systems design and organizational development. Primarily working in the corporate sector, he specializes in creating development programs for all levels. He has created several results-oriented programs such as using virtual reality in a team building course and creating an innovation skills course to support the annual hackathon. Anthony has been a member of ATD-LA for more than 15 years. He has contributed to the chapter’s growth by managing the mentoring program and as chapter president in 2016, earned three prestigious awards, Sharing Our Success, CARE and Chapter of the Month. Coming straight from the office with no time to eat? Don't worry, gourmet sandwich dinners will be available for all attendees! Let us know your preference when registering. Meat makes you hangry? No worries, we have veggies too. We’ll do our best to provide a meat and vegetarian option and will include soft beverages. However, please let us know if you require a vegetarian food option at the event registration checkout page. We recommend Uber or Lyft. However, Boingo has sponsored your covered parking. If you are commuting and have a car, enter at Midvale street and use the self-parking at the rear of the building. Find any unlabeled space above the third level. Take the elevator and check-in at the Boingo Reception Desk at the 23rd floor, and they will provide a parking pass. Seats are limited to 30 participants so that most have a chance to try the VR headset and game. Meal and parking included with your registration. Pre-Registration Suggested: Cutoff to register with dinner is Monday, September 16. Immerse learners in real-world scenarios to accelerate expertise development and increase learning transfer. Learn how scenario-based e-learning can accelerate job competency. Taking on new and often unanticipated workplace challenges requires problem-solving and critical-thinking skills. Traditional training that uses a directive approach, while useful for procedural learning, lacks what is needed to build problem-solving skills for those in contemporary job roles. In addition, some work skills cannot be practiced at all on the job (due to safety or other high-risk adverse consequences), while others can only be learned over a long period of time. Scenario-based e-learning (SBeL)—also known as problem-based learning or whole task learning—is a highly interactive course design that puts the learner in the role of a problem solver responding to realistic workplace problems or situations. This proven method of scenario planning builds critical thinking skills and expertise in on-the-job tasks, especially those that may be unsafe or too infrequent to learn in the workplace. Identify when SBeL is most effective and apply the process for designing and creating successful scenario-based e-learning that accelerates job competency. View examples of SBeL from a variety of industries. Identify the key questions about course structure and development to address in SBeL designs. Identify the key features of a scenario-based e-learning design. Summarize evidence and rationale for a scenario-based e-learning course in your organization. Identify appropriate tasks and objectives for a scenario-based e-learning lesson. Complete a design plan for a scenario-based e-learning lesson. Draft a course structure diagram and storyboards for the project lesson. This program is suitable for anyone who has designed or developed traditional e-learning and is looking for alternative approaches to build critical thinking skills or accelerate workplace expertise. It is also useful for individuals who have or are starting a scenario-based e-learning program, or who are exploring the potential of the approach. In-depth knowledge of programming or e-learning design is not necessary. ATD education programs are designed primarily for learning professionals—trainers, instructional designers, and organization development practitioners—but also greatly benefit anyone within an organization who is responsible for developing others, from managers to human resources specialists. 04/25/2018 OD SIG: Creating Diversity and Inclusion at the Top - What Works? Co-Sponsored by CSPP and ATD-L.A.
01/12/2018 Webinar: Trends in Virtual Training: Are You Ready? 10/31/2017 Webinar: Wholeness - The Alternative to Stress, Burnout, Silos and Disengagement. 04/19/2017 Webinar - The One Page Resume is Here to Stay! 03/23/2017 SIG Organizational Development: Coaching - Is it Still the Wild West? 03/30/2016 SIG Organizational Development: Developing Effective Leaders: What Works? What's New? 04/23/2015 Special Division: Organizational Development April 23, 2015 6:30 p.m. - 9:00 p.m. with Light Dinner to Begin at 6 p.m.
01/27/2015 Webinar: So No One Told You You’re A Marketeer? 11/06/2014 Webinar: Does your thinking limit your success? Of course it does! 10/23/2014 Special Division: Organizational Development October 23, 2014 6:30p.m. - 9p.m. 08/22/2014 Workshop: So No One Told You You’re A Marketeer? 05/15/2014 May Chapter Meeting ~ Collaboration YES! 03/20/2014 March Chapter Meeting ~ Can Talent Management Technology Change the World?